Curricular and extra-curricular sports coaching in schools. We offer schools the opportunity to run an exclusive sports club for their pupils. These sessions take place either during the lunchtime period or after-school. After-school clubs allow the children to participate in a structured sport session with the emphasis placed on enjoyment. Lunchtime sessions allow children to enjoy a fun packed session that lasts approximately 30 minutes. This format has proved especially popular for Infant school pupils who benefit from a concentrated sports session. Game On will be responsible for advertising and organising any events, all we require from the schools is the use of their playing fields. During extra-curricular clubs parents are required to meet the costs, which are determined by the duration of the course. 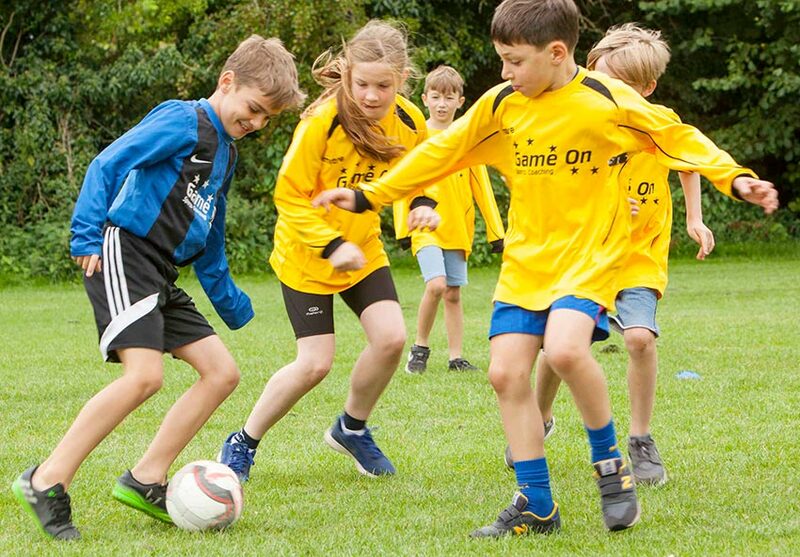 Game On Sports Coaching Limited provides in-curricular coaching to over 35 primary schools across Hertfordshire, Buckinghamshire and Bedfordshire. A number of schools are using the service to provide specialist coaching for their children and covering teachers ‘non-contact time’. Game On offers a FREE coaching session for ALL pupils within a school. Children and teachers have the opportunity to see the quality of Game On’s coaches without any obligation. Please contact us for more information. For more details on Game On’s coaching services for schools please contact us.